Following the 2015 Building Societies Association’s Annual Conference on 20-21 May, it seems like an appropriate time to reflect on the role mutuals play in society and why they can be the perfect conduit for people to access complementary services to mortgages and savings, like independent financial advice. Most people only get one chance at saving for retirement, so getting it right is vitally important, but the process starts much earlier than a couple of years before retirement. We all generally know that if we have a mortgage-free home when we retire, a pension and some savings, then we have a base for providing in later life. However, there are so many ways to maximise the effectiveness of wealth through the right blend of savings, investments, tax efficiencies and appropriate protection products – and everyone’s circumstances are truly unique – that getting that one opportunity right is almost too important to leave to chance. Throw in constant regulatory change – pensions is a good recent example – and getting expert, up to date independent financial advice becomes even more important. Accessing this kind of advice should be readily available for people, but knowing where to look isn’t always straightforward. We find people are looking in several main places. 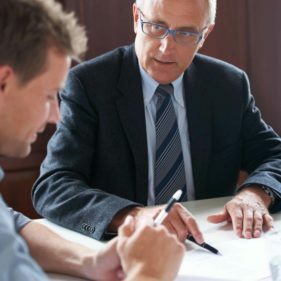 Some try their accountant, but not everyone needs an accountant, particularly if they’re not self-employed and accountants are not qualified to give advice so tend to refer to independent financial advisers. Others look to their employer (typically for employee benefits and protection products, but smaller employers may not offer this) and their bank or building society. Banks have all but exited the financial advice market, which leaves the building society as the obvious place to look. Building societies account for around 20 per cent of both the mortgage and savings market, while around a third of the UK population has a financial services relationship with a building society; so it is a natural environment for savers and borrowers to consider their financial position. Many building societies increased their assets in 2014 to a collective total of over £330 billion, so they’ve got excellent reach and are clearly appealing to people. Importantly, their high street presence means customers can get reassuring face-to-face advice from an IFA on an ongoing basis at their convenience. Keeping a relationship going with regular reviews helps to guard against a potential negative impact of changes in individual circumstances on a well-laid plan. We respect and admire the building society ethos and the longevity of their customer relationships. Building societies exist solely for their members, which must be reassuring in a financial landscape that’s been badly scarred by fines and scandal in recent years. This fits in perfectly with our ability to offer financial advice throughout a customer’s life, ensuring they meet their long-term financial goals and adjusting them where necessary to stay on track. Culturally, we believe personal relationships that add real value to individuals are what people want from their financial services provider, as well as convenience through high street branches and telephone, while online and smartphone services in the sector are increasing all the time. In an age where it’s possible to do so much online and information is abundant, it might seem like going it alone is easier than ever before. But we’re also living longer, so there’s more time to provide for and going direct to a financial services provider doesn’t give you the opportunity to make a truly independent and informed purchasing decision. Our partnerships with building societies have introduced financial planning to 12,000 customers, helping them set a course for the financial future they want to achieve.